Perfect for our work. Excellent quality and great price. We have horses. Mucky jobs - mucking out, grooming, doing hay nets etc and these gloves protect our hands during this work. I also use them when ragworting the fields - ragwort can cause a reaction if touched, so perfect for this job too. Gloves seem thicker than some. Excellent service. 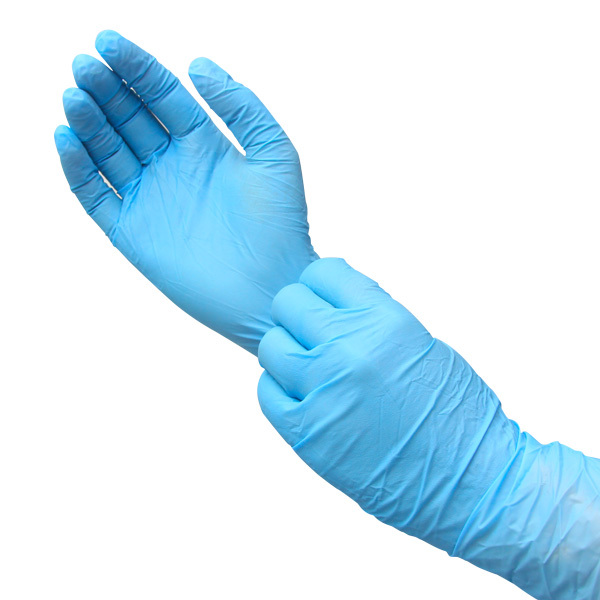 Nitrile gloves good quality and fit for purpose. We use the gloves for painting. The gloves are used to complete aspects of structural engineering surveys. This was our first order and as yet the gloves are unused, but the quality seems perfect for the use we need. Excellent Quality especially as they are not to expensive.. I use them to change my Stoma for sterile and protection. Been using them for years in garden and kitchen, very good protection for my hands. I've been using your nitrile gloves for years. Use them in the garden to protect my hands from damage and in the kitchen to protect them from smells. Also they're very useful when handling pastry as it doesn't stick to gloves quite so much as to bare skin! This is my 2nd. online purchase. I have a long term medical condition that requires daily use of the gloves. I recommend the product to anyone needing a strong, practical to use, glove. The gloves are good quality & great value for money. Average quality they tend to split quite easily,but not a problem. To anyone who needs good quality gloves for handling/caring for patients or any household job where dirt or stain may affect hands. Easy to use and comfortable to wear. Excellent value for money. I use them for mixing concrete, quite robust. These are ideal in my role as family carer. I get through quite a lot, and these are good value. I use the gloves for domestic cleaning. The gloves appear to be of good quality. I use the gloves for working on my classic cars. I would recommend to my friends. Quality brilliant. This is about the 4th time I have purchased from Just Gloves and they are the place I would get my nitrile gloves for DIY mechanic use. I have found cheaper but the quality has been no good. I buy 4/5 boxes a year - they are for me the right compromise between sensitivity and toughness. I bought them as I have had treatment on my index finger a was told I must keep it dry. As a very recently retired nurse I purchased these to do the job. They are of good quality and fit. Second time ordering these gloves. Fit for purpose, would buy again. Used by carers in the College. Mainly for domestic jobs around the house. We use these to protect our hands inside our gardening gloves. Very effective. Carer uses these gloves caring for my elderly parents. Very comfortable to wear also quite robust. For any jobs around my home where need to have my hands in water. I am highly satisfied with the quality. Anyone else who needed protective, disposable gloves for gardening where thicker, proper gardening gloves are too clumsy. use product for cleaning at home and in a church hall, also for first aid. We use the gloves when painting and doing other work processes. The quality and price is good. Excellent product. Used for nearly all the household chores and for the lighter gardening jobs. Great value for money and just as good as name brands. Good fit and do the job. Speedy delivery. We buy these for our son who has sensitive skin and needs to wear gloves when using things like washing up liquid or other cleaning products. He says they are perfect for him and have stopped his hands breaking out in rashes, cracks and sores. He has even found that he is alergic to other types of gloves but he's had no problems at all with these. Good quality used for lots of jobs around the house garden and for hygiene. I use these to protect my hands from oil and grease - so far they're as good as more expensive brands. Tattooist & the carers for our disable son have used them and said a good quality product & 5*****. They are as I would expect for cheap gloves. Throwaway after one use but that is fine. Used for gardening, collecting up leaves and also for cycle maintenance. They can tear easily under a ring if you wear one. As general gloves for dirty cleaning and gardening. I have a colostomy bag fitted and wear the gloves when dealing with it. I also wear a glove when using my touch screen computer, tablet and smartphone to avoid getting fingerprints on the screen. I have recommended them to friends, one who works on bicycles, one who is a car mechanic and one lady who has several pet cats that use litter trays that need emptying. The quality of the product is high enough to permit all these activities without worry of failing, yet fine enough to permit the sensitivity required. 10/10 in all departments. Fab just what we needed. Very reasonable priced. I use the Nitrile gloves all the time as i have very sensitive skin i would not be without them and the quality is good. easy website to use, excellent quality, speedy delivery used in a healthcare situation. This is the second time of order and will be continuing as long as the price stays competitive. Ordered for personal care for my mother at home. Good strong gloves, no rubber smells! Easy to order and to repeat order next time with no hassle. Delivered on time. Definitely recommended. Stocktaking, where areas can be dusty and very dirty. Item protects hands well . Resistant to splitting and tearing. Prompt, efficient service. Good product. Wouldn't look elsewhere. The gloves are used to provide protection for staff whilst taking water samples. These are good quality that do the intended job well. Sent to my daughter who is helping on a dairy farm, very pleased with the quality. I use them around the house. I find they're strong enough for all the dirty jobs! Used before for general protection with good results. SDS for the garden fence chemical said to use nitrile gloves. Most retailers only stock vinyl disposables. As for all gloves need to take a break regularly to let the hands breathe a little. Easy to double glove to ensue good protection. Use these gloves when working on my mountain bikes, gloves do not tear easily. Recommend them to friends. I'm content and so are my carers, who use the gloves for the cream etc they use on my 87 year old body. Great product works well with oil and grease. Good value for money and would recommend in an industrial workplace. Free delivery is also very helpful! I use these nitrile gloves to protect sensitive skin from just about anything. So much easier than usual gardening gloves because of my small hands. I will recommend to anyone who asks! Used by my son when working on his car and other dirty jobs. Everything I asked for and expected! Very satisfied with these gloves! Would order again. use these gloves when oiling and greasing up our tractors. I use the gloves for everyday cleaning and gardening. We are a wood company so the gloves are used for oiling. The gloves are very good value for money. For putting on pain relieving creams to affected joints. Using gloves prevents me from mistakenly applying cream to my face or eyes by insufficienyt washing off my hands after use. Use product for work on clocks. Product is excellent and shared amongst fellow students and friends. Versatile protective gloves that allow easy movement and retain good sense of touch. Great product will be purchasing again soon!!!!!!!!!! These gloves are suitable for small, brief jobs, domestic or professional. I use these when doing dirty jobs in the garage and workshop, including bike cleaning and general maintenance jobs. They appear to be pretty tough and I have already used the same pair on a number of occasions. They are easy to get on and off but fit well. They represent excellent value for money. As a general medical and multi purpose item. Used at home in the kitchen, garage and when cleaning the fish pond. Competitively priced without losing quality. I use these as I'm a carer and get through quite a few pairs of gloves. A host of uses - household cleaning - stops the detergents drying out the hands; fixing punctures in bicycle tyres - keeps your hands clean. I also put them on top of leather gloves to do the gardening, thus keeping my hands dry. Incontinence care and general use. Not delivered this time. Usually, gloves are excellent. Used for my personal care. Very strong and versatile gloves, Ideal for my work. The gloves are good for the task required. Have never ordered this product. I use these gloves for food prep and cleaning and they are fab. Excellent quality at an extremely competitive price. They are easy to put on and don't tear like others we've used. Used at work on cnc grinding M/c's to protect against dermatitis. great quality and durability in a disposable glove. I need gloves for my problem skin conditions. I can use these gloves in particular for preparing food such as vegetables and handling meat/fish. This is a great problem solver! I use nitrile gloves rather than latex (because of allergic reactions to latex)for boatbuilding including working with epoxy resins - two pairs on each hand protect very well. I use these gloves for all kinds of things. Gardening, working on the car, painting, etc. They are far superior to the previous latex gloves which fell apart as soon as you put them on. good all round usage for gardening, cleaning, first aid, strong enough for more than one time use in all but first aid tasks. I use these for various household and craft tasks. Good fit. I love them. Prompt fuss-free service. Always reliable and competitively priced. Would not go elsewhere. Use for helping mother with dressing her ulcerated legs, working on car and general cleaning duties. Quality of the product is excellent. We are a home care company so the gloves we require need to be of the highest quality. We go through masses of gloves and the pricing is very competitive which is truly appreciated. My hands get chapped easily and I use these when cleaning. Also use them for preparing chillies. As a person with small hands, it's great to find a glove that fits so you don't cut the ends off the fingers! Good quality and nicely priced too. We use the gloves for the cleaning and maintenance of our 3D printer and they are ideal. The gloves are robust and do not break and give a good level of protection. I use these to keep my hands clean when I'm working on bikes - cleaning and servicing them. They are strong yet don't interfere with sensitive touch. A good product. I use them most Days for protecting my hands against Detergent, bleaches, oil, also in the garden as a liner inside other gloves. They cause sweating which is not a problem. Bought to protect hands during gardening as I don't like gardening gloves. Trying these to see if they are more robust than the usual ones I have used before. Good fit, I use them for household cleaning and for general hygiene for messy jobs. Good fit, I use them for household cleaning and general hygiene for messy jobs. Very happy with the efficiency of these gloves. Easy to get on and off and don't split either! They are used for personal care needs. I run a small hedgehog rescued and I consequently test a lot of hedgehog faeces for parasites, not only for myself but also for other hedgehog rescues around the UK. By the time hedgehog faeces get to me its pretty nasty stuff and I need good reliable gloves, which are touch sensitive to enable me to prepare the microscope slides for examination. I find that the Nitrile Examination Gloves are ideal for this purpose. the product, which was well priced and as described, was delivered in quick time. I would use again. I use these gloves for all jobs in house & garden to elimiate dirty hands and nails. Good quality gloves at a good price. Used when servicing oil boilers. Would recommend. does exactly what I require. These gloves are very adequate for the job I have to undertake. Used for engineering maintenance. They are tear resistant and easy to put on. Your economy blue nitrile gloves are an excellent fit and are of surprisingly high quality for the money ... so will certainly purchase more of these in future. Gloves as described. Used for maintenance work on racing cars. They don't last as long as I'd like but they are as good as any. Only used for personal use but these gloves are the very best fit and have a long life. Used for domestic cleaning and gardening tasks. Will recommend to friends and family. Used for domestic cleaning and gardening tasks. Excellent product used for many household chores. I have these in a container by the sink, handy for washing up, potting plants and numerous other house and garening jobs. I buy latex and powder free gloves for frequent use at home. I have skin problems so wear these to protect my skin when peeling and chopping up fruit and veg. I can go through a lot of gloves so always trying to stock up at a good price. Very happy with the price from this company. Gloves are as advertised and delivery was very prompt. Bus service for refueling and I use the gloves. I have not had a problem with it, this job is the best choice. Already in several of my friends I have such gloves. Perfect for all those mucky delicate jobs.... mainly cleaning prized bike. Personal cleanliness when cleaning toilets and cats litter. I have already recommended the site to relatives. Gloves used for vegetable preparation and gardening. Deep cleaning in hygiene areas. Excellent quality, I use them for gardening and they are perfect. Excellent quality. I am an elderly lady and use these gloves for gardening. They are very sturdy and would meet the needs of any one who wants good disposable gloves at a good price. Good quality. Use to protect hands when carrying out oil / grease tasks. I use these gloves to keep my hands clean when gardening and mucking out my horse.The nitrile gloves are more durable than the vinyl ones. These gloves are brilliant. I use them when painting both externally & internally. The paint goes on the gloves not on the hands. Use these for general use. They are good quality and a good comfortable fit. Would recommend them to my friends for any use. Used in a caring role. No cause to recommend to others but will do if it becomes appropriate. Good quality gloves. I work in a hospital and these are superior to the gloves at work. I use them for household cleaning. I also have the arm guards which i use with the gloves when cleaning my oven. Just brilliant! Excellent quality and price. 2 sizes used. Small for myself and XL for my husband. Buy them for home use for different dirty jobs. eg cleaning fish pond. Also in the kitchen when handling fish or chicken. We use these gloves in our hair salon. We have stylists who are allergic to other types of glove or the powder in them, these gloves make it easy, everyone can use them! Also a very good price and fast delivery. used in manufacture of products, recommend to anybody who needs to keep hands clean, good quality product. My wife and me use these for all sorts of tasks around the house. My main use is for tinkering with my car and other greasy jobs so I can recommend them for this type of use as they are fairly tear resistant without compromising the sensitivity. Used as gardening gloves . Good, do not go into holes like a lot of gloves. Great product. Very strong material. Very competitive price. Used for home mechanics, gardening etc. We are a museum and use the gloves for handling objects. Nitile gloves are recommended by conservators. Very good quality and fit well. My colleague uses the large size and found they fitted better than a another brand purchased locally. As under glove for treatment of weeds with weed killer. Also for preparation / chopping of chillis. To anyone wishing to keep their hands clean. Fair to average, but well priced. For use with medical needs at home. Quality is appropriate for this. I would recommend these gloves to anyone that wants to protect their hands. Very good value for the money they cost. I use these gloves to wash up and generally clean, I am allergic to washing up liquid, polish etc. Brings me out in dermatitis. We use these gloves within our veterinary hospital, treating casualties as well as for feed and cleaning. Also whilst out on rescues. Good value for money, especially when order in bulk. Bought for my 94 year old mother-in-law who has an allergy to latex & for use by her carers. I brought the gloves for personal use at home as my husband has chronic health. The quality is excellent and are a very reasonable price. Strong and does not tear easy. We use this product for milking and are more than satisfied with their durability as fit. We would recommend them to other farmers. as protection against light dirt, varnish and white spirit. Would recommend the product to my colleagues. Good quality for a single use glove. I usually buy these gloves as they are brilliant and very good value. I use these gloves mainly for changing my cat's litter tray, but also for general housekeeping. Anyone who is allergic to latex could consider using these gloves as there is neither rubber nor powder in them. Also for those of us with small hands they fit very nicely. And, though they are disposable they are strong enough to withstand most household usage. Bought for husband to use for household and gardening chores. Very happy with product. Good quality. Strong and easy to put on. Used for carcase disposal work. Tough disposable gloves that do not tear easily - unlike latex. Goods as described and expected. I use these gloves for handling raw meat and bones that I have just begun feeding to my dog. I use them when grooming the dog as well. I also wear them when using strong cleaning products. I would recommend them to anyone who needs to protect their hands and I like the colour as well. Great gloves. Perfect fit. Use to protect my hands whilst undertaking bicycle mechanicing. Good durability for potting on the nursery. We use the gloves for a variety of jobs within our factory and they perform as well as any others we have used. The gloves are used by my husband when doing chores around the house and in the garden, he is pleased with them. I use them when applying cream to My father's extremely sensitive skin. Good quality and comfortable to wear. Used by my father to protect his hyper sensitive hands. He is very pleased with the quality and the fit. Great product at a very good price. Used at work on oil boilers. Good all round and comfortable glove. I use the gloves to protect my hands when gardening as other wise I get eczema. They are a good snug fit. Good fit and resistant to chemical degradation, the glove perform really well for me. when using polishes and paints. Good thickness. Use them at home for all sorts of things, cleaning out the tortoises, toilets and general cleaning. I think they would be useful for a wide range of uses. I use these gloves when working on my collection of bikes, to keep dirt and oil off my hands. I would recommend them to anyone doing dirty jobs that doesn't want to have to scrub their hands after. These gloves are good quality and good value. Gardening (lots), painting, car & motor bike restoration work. Anything mucky that requires a lighter touch. Durable - Why pay more?! Great service. Reliable delivery. Couldn't fault. Would certainly buy from Just Gloves again. My son uses the gloves to protect his hands when doing dirty building work jobs. I use them for household chores and diy. The gloves are strong when working and protect. 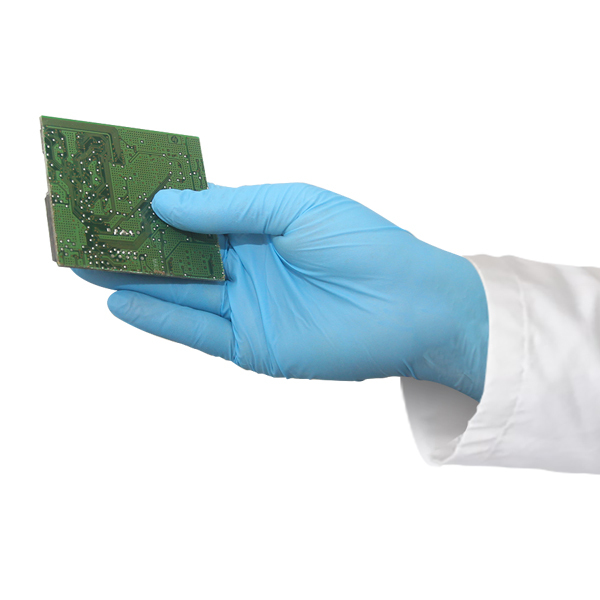 To work whilst handling wet items whilst still maintaining maxium feel and ad dexterity. Gloves for household and DIY work, seem good quality, if you purchase check P&P charges?? Good quality for a disposable glove. Good quality product used by us when bleaching, cleaning of bird tables and picking up dog mess from garden. My care assistants use the gloves when tending to the hygiene needs of high needs students. They prefer the powder free gloves as they are not so messy and they are available in different sizes. I use these gloves for all my DIY tasks, painting, plastering and sanding woodwork to protect my hands. I also use them in the garden, I might work like a navvy but don't want to have hands like one ! We use your product in a shellfish processing facility. We would recommend your product to anyone requiring workplace products. Protection when painting, using mastic and epoxy. I use these gloves in my cattery and they are excellent. Would recommend these to anyone who needs to wear gloves but still needs to grip hold of items. The product is used for personal care for a patient who has MS.
ordered for my father to protect hands with inside and outside jobs. other gloves often tear. Product is used with clients, household and gardening, in fact anything! I work in a mainly clinical role and require good quality gloves for personal protection. Strong glove, ideal for use on a dairy farm. I use the gloves to stop my skin cracking in cold and wet weather, sometimes on their own, sometimes under rigger gloves. I am a professional gardener. I am a private user and wear your gloves when working with my very small flock of poultry. This protective and light weight glove meets all my requirements. Gloves are used in a variety of alkaline solutions and heavy degreasers - they stand up well to every day workshop use. I would recommend this product and the quality is very high. Use for cleaning. Comfortable and hard wearing. use every day for engineers working with mechanical equipment. We are a homecare company so we use the produces to help assist our clients, I would recommend this product to anybody as the quality of the gloves is excellent. As I have a skin condition I need to protect my hands for many tasks, both household and when doing artwork. The gloves give strong protection, while allowing detailed work. ordered for use in a car repair body shop, easily as good as top named brands and far cheaper. Excellent product. I have large hands and the X large fit perfectly. Only down side is I had to order 2boxes as my dear wife keeps nicking them! for use with bathing and toileting of disabled person. We use the product for personal care. Quality is very good and suits our purpose. highly recommended for household, garden and workshop use - probably good for medical purposes too that don't require sterile gloves. Great gloves, I use them for beekeeping but clearly they have a number of uses. Great product for our need of handling food. Great for industrial work where you want to keep your hands clean. We use these gloves around the house, shed, car & garden. Essential for refilling ink cartridges, painting, handling weed killers, compost & most DIY. Fuelling and cleaning my coach at the end of each shift. I use these pretty well on a daily basis when renovating furniture. I'd recommend these to anyone needed regular protection and where it is important that you can still feel and hold tools. The quality is very good, as described on the website. I use this product for food handling in my cafe they are perfect. All manner of household jobs as I have eczema on my hands. use them to wear when cleaning toilets and they are durable. Great product, fast and efficient service and delivery. A good product with many uses, easy to put on and durable. I would recommend them for household chores that need some protection and for light DIY tasks. we use the gloves for aircraft maintenance. The quality is good and the price competitive. Allergic to latex and nickel. I use the gloves for gardening. i use them for gardening at my allotment, they are durable, waterproof, fit well, long lasting and anti allergy. We use this product for our childcare workers and have no complaints, they are excellent quality. Being allergic to Latex, these gloves are proving to be ideal for me. I've been using latex gloves for years. 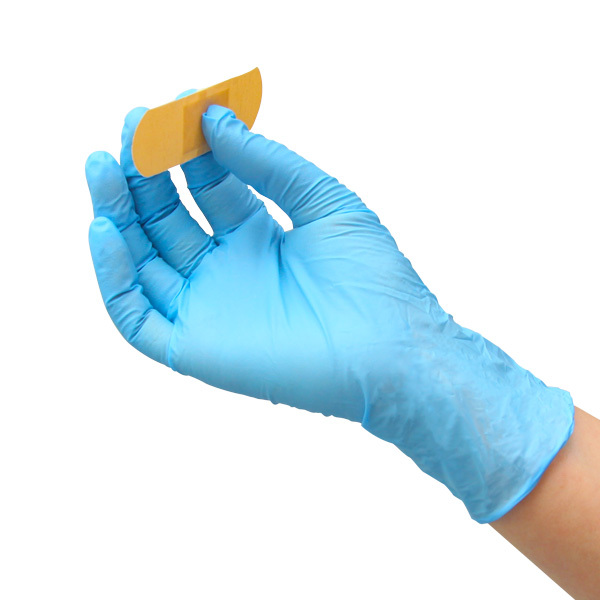 The nitrile gloves are stronger and more resistant to oil and paint etc and generally more suitable. Helps keep hands clean when doing messy jobs. I use the gloves in my stables, they are very good quality and i would recommend them to anyone. They arrived in 36hrs which was very good service. I use these gloves in my garage when working on my car and motorbike very good for this use. For allergy related reasons I purchase these gloves along with their cotton product. They are strong without being too thick. Good product! used for any dirty job about the house, garden, garage. Highly recommended for such uses. Ideal for all indoor and outdoor jobs keeping your hands protected. The product is used at General Practice level - so by all GP's and Nurses when examining patients. Perfect product. Used when looking after my mother's toileting needs. Product used in care of disabled person by different assistants. These gloves are used for many applications from gardening to baking. We would be happy to recommend these gloves to our friends should they require them. We would also recommend just gloves to friends. These are the only gloves I have found that don't fall apart. Although they will eventually tear or split, they will take a good deal of punishment first. I use them for most dirty jobs around the house and garden but mostly for my car restoration project. They save a whole lot of time from cleaning off ground in dirt and grease from my hands at the end of the day. All sorts around home especially gardening, painting, cleaning to name a few. Use these for scuplting with mod rock and clay as allergic to the plaster of paris in the mod rock. Also allergic to latex so these gloves have helped me carry on with what I love making. we are in the motor repair trade. the boys tested a 'leading brand' nitrile glove from one of our suppliers but said the glove fron Just Gloves were far more comfortable for working in. Gloves will be used for many jobs from gardening to car maintenance and decorating. I use the product for dirty jobs around the home e.g. changing litter trays. Gloves are a good quality and appear quite tough. Am very pleased with them. I use this product for all household and garden chores. I've re-vamped my garden gnomes and without them I would have had lots of paint down my nails...not a good look for anyone! Powder free gloves don't irritate my skin yet they're easy to put on and take off. I recommend them to all. I bought 2 sizes, large for myself and extra large for my husband. (From the product number I'm not sure which is which, sorry). The extra large ones fit my husband's rather chubby hands really well and he's pleased with them. They're tough and comfortable. Great protection when carrying out various jobs which may be messy or dirty whether in the garden, in the garage or around the home. My partner has very sensetive skin and the nitrile gloves help prevent any reaction when gardening or cleaning etc. For disposable gloves they are strong and durable, I use them myself for dirty tasks and I would highly recommend them to anyone else, especially if they have sensetive skin. Resistant and easy to wear, good quality. I've been gloss painting I slip the brush/small roller into the glove to save cleaning if I'm using the next day. Works perfectly. My partner uses them when doing dirty jobs on his boat. The quality is very good for what I use them for. I use the gloves while working in my garage. I would recommend them to friends as they,re quite robust and wear well. Very good quality gloves & good fit for size ordered. Nice & strong for cleaning. Will definitely be recording in the future. gloves, robust for my needs. Good value. Used for a number of carers who obviously need different sizes. Used at home for severely disabled woman of 92.
have bought these before from just gloves product as described. We use these gloves all the time and are very good in lasting.